If you`re turned down by a loan company often and frustratingly they won`t tell you the precise reason as to why, however our experience shows that other lenders may still consider your case. 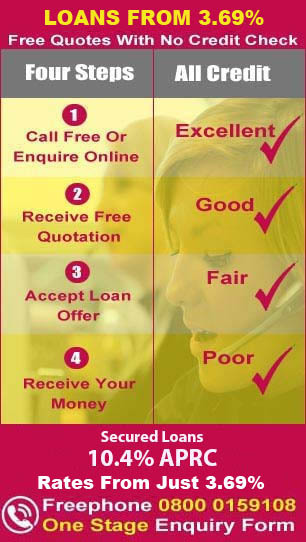 We have helped many customers obtain the money they are looking for despite having been let down elsewhere, so if you need a loan but have been getting declined elsewhere why not let us try to help, call our team on 0800 0159 295 or dial 0330 0536001 (mobile friendly) alternatively complete our short online enquiry form. Your decline may simply be because they work on an automated credit scoring system which has many aspects and when you ask `why` they simply do not know which areas are causing the issue. Generally they will let you know the name of the credit reference agency they used. You can ask why they refused you but they don`t have to give you a detailed reply. 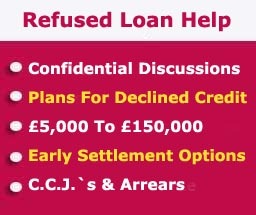 What Can I Do If I`ve Been Refused A Loan? The first key area when refused finance or a loan is not to panic. Not all lenders work on automated systems, many of our homeowner loan lenders as well as some personal loan providers will look at your case for being accepted for a loan on its own merit, even if you have been declined or refused a loan elsewhere. However we would suggest you avoid the immediate reaction of many that have been turned down who immediately re-apply fully with a different company. - Not having previously had any significant loans or credit facilities (such as higher purchase or a credit card), therefore giving you no credit history. If these may be affecting you give us a call for free on 0800 159 295 or enquire online and have a confidential discussion without obligaton so we can tell you if we can help and what the facts and figures are. If you have been refused a loan it is natural to want to understand why. The credit report people are obliged to provide you with a statutory credit report and they only charge around just £2 for it as a one of fee. 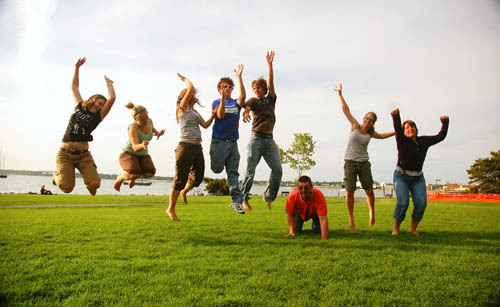 In today`s culture most people expect to be able to obtain a loan and often are bemused when they are turned down. 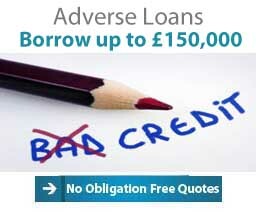 However since the credit crunch, even though we are through the other side of it, some UK lenders have become increasing more careful in their dealings and unless you have an unblemished credit report with plenty of income originating from an employed source you can still get rejected and baffled by the decline, so make sure you know that your report is correct. What Do I Do When I Have My Credit Report? Once you have your credit file quite quickly it should become apparent if there is anything wrong with it. Remember mistakes do happen! If you do spot a mistake, write to the credit reference agency and request for them to correct it straight away. You should ensure that you write an explanation to tell them why it`s wrong, and provide any proof you have to back up your explanation. The agency then has 28 days to act, they will investigate your explanation your credit report will be marked as `disputed` while they look into the problem. The Data Protection Act 1998 gives you the right to have information on your credit file corrected or removed if it`s wrong; this is important but remember it can`t be removed if it`s correct but you don`t like it! Some commercial credit repair companies offer to remove information from your file to clean it. There have been warnings against using them - it`s probably best to get in touch with the credit reference agencies yourself. When Should I Apply Again? 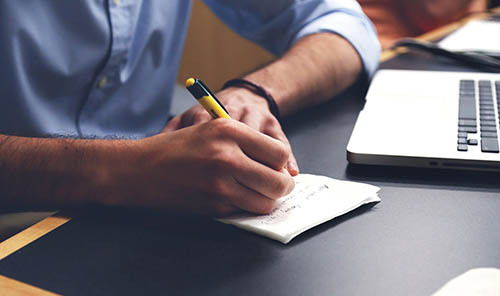 Either when you are aware of what has caused the issue and have discussed it with a regulated credit intermediary who believe they can help or once the credit agency has responded to your request and you understand what is registered and more importantly why - then there are some decisions you should make. Is it in your interest to take out the loan? If it turns out that your credit report shows lots of adverse factors such as CCJ`s, defaults, or late payments on other credit you have you should ask yourself if it`s in your best interest to take out another loan .If you decide it is it may prove difficult to obtain an unsecured loan with bad credit depending on how much you need and what rate you are prepared to accept,as if you are successful it`s likely the interest rate you get will be higher. Another option to consider If you decide to go ahead is a secured loan, the downside with this is your home may be repossessed if you don`t keep your repayments up to date. The other thing to consider is loan size as finance brokers and secured lenders only tend to arrange secured loans above £5000. Therefore it may be worth considering wrapping up other credit such as HP, overdrafts credit cards into your new loan to reduce your monthly outlay to make sure you are less likely to default. 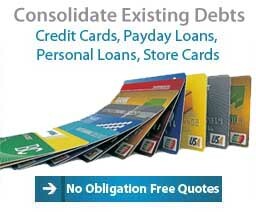 If you need less you may consider using a personal unsecured loan, payday loans, home credit or by using a pawnbroker. We do not arrange payday loans. However recently due to pressure from the regulator payday lenders have altered their practices and now make more effort to check affordability and are more transparent about their charges and fees .However you should be aware that taking out a payday loan can be a very expensive way to borrow. It`s also very easy to roll over your loans from month to month and lender to lender, by mishandling a payday loan your original debt could quickly grow into an unmanageable one, however unlike secured loans or second mortgages no security is required. Other lenders may penalise customers for having had a payday loan recently and will sometimes refuse a loan if this type of loan appears on your credit report. So if you are thinking of remortgaging, buying a home or taking out some longer term borrowing / finance please be aware that taking out a payday loan will show on your credit history and may prevent some lenders from helping you. Doorstep lending or Home credit is generally only available in limited area where the doorstep lender representative lives. 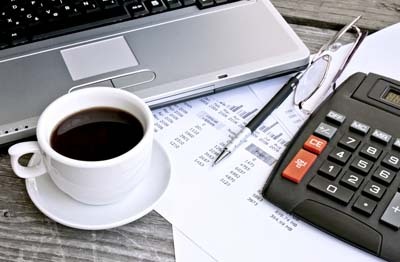 The loan is usually a small cash loan of up to 200 pounds and is arranged in your house with the representative who is also responsible for weekly collections and any arrears visits. 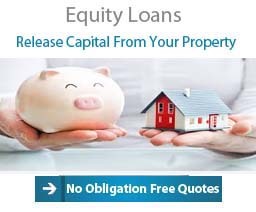 This type of loan can be very expensive so think very carefully before you take out a home credit loan even if you have been declined for a loan elsewhere. My Sort of Loan is not a pawn broker. 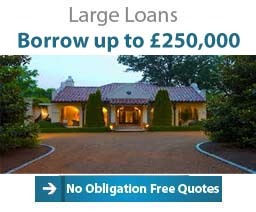 This type of lending is generally only suitable for relatively small amounts of finance. 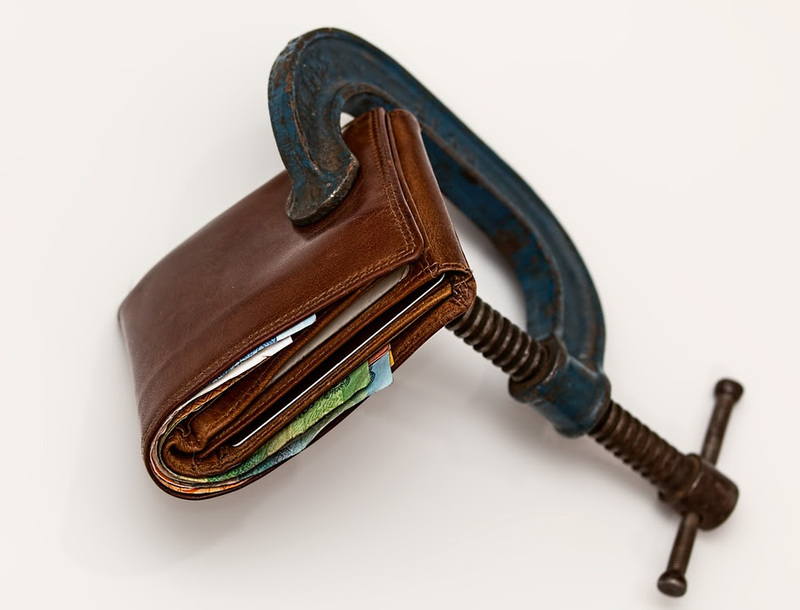 Pawnbrokers will lend you money but at higher rates of interest than high street banks and you`ll have to leave something of value as security, this is known as a `pawn`. Importantly if you default on the loan you will lose the item you have used as security. If you decide a pawn broker loan is the right for you check that your pawnbroker is a member of the National Pawnbrokers Association, a trade body that promotes higher standards of business conduct. Debt consolidation loans help reduce your monthly repayments and simplify your finances, get no obligation free quotes with My Sort of Loan. 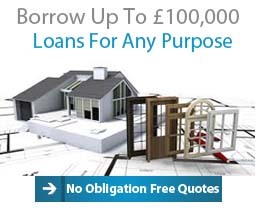 Confidential finance help from my sort of loan. 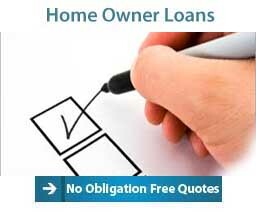 Loans for any purpose, get no obligation free quotes. My Sort of Loan is a member of the Association of Finance Brokers and the Association of Mortgage intermediaries. These are trade bodies which help UK financial services companies keep abreast of the latest current and proposed regulations that affect both consumers and ourselves. They also provide a voice to and a link with key regulatory bodies within the loan and mortgage sectors, such as the Financial Conduct Authority. This enables open dialogue between key decision makers within the loan and mortgage sectors which in turn helps to provide a stable productive UK financial services sector. My Sort of Loan Ltd is Registered in England and Wales (Company number 05227617), Registered Office; 6 Bailey Court, Green Street, Macclesfield, Cheshire, SK10 1JQ. My Sort of Loan Ltd is authorised and regulated by the Financial Conduct Authority and is entered on the Financial Services Register under reference number: 724841. Licenced by the Information Commissioners Office, (registration number Z1952834). Buy to let, Bridging and commercial loans are not regulated by the Financial Conduct Authority.